Atom Medical USA offers a full line of neonatal products and accessories for the NICU, Labor & Delivery, well-baby nursery and in between. Highest quality design, engineering, and manufacturing make these products reliable and keeps the cost of ownership low. Flexible offering of modules and accessories allow you to configure the right product for your practices. Simply serene offering an internal environment less than 41 dBA to support developmental care goals. Lovingly low providing a range of vertical positioning to support family-centered care. Gentle drop access panels minimize the stress-inducing noises frequently produced when accessing the patient. No disturb external x-ray cassette tray access door is separate from the side access panels so the environment is not disturbed during radiologic procedures. The Incu i can be configured at the time of installation with the in-bed scale which is operated through the touch screen control module. 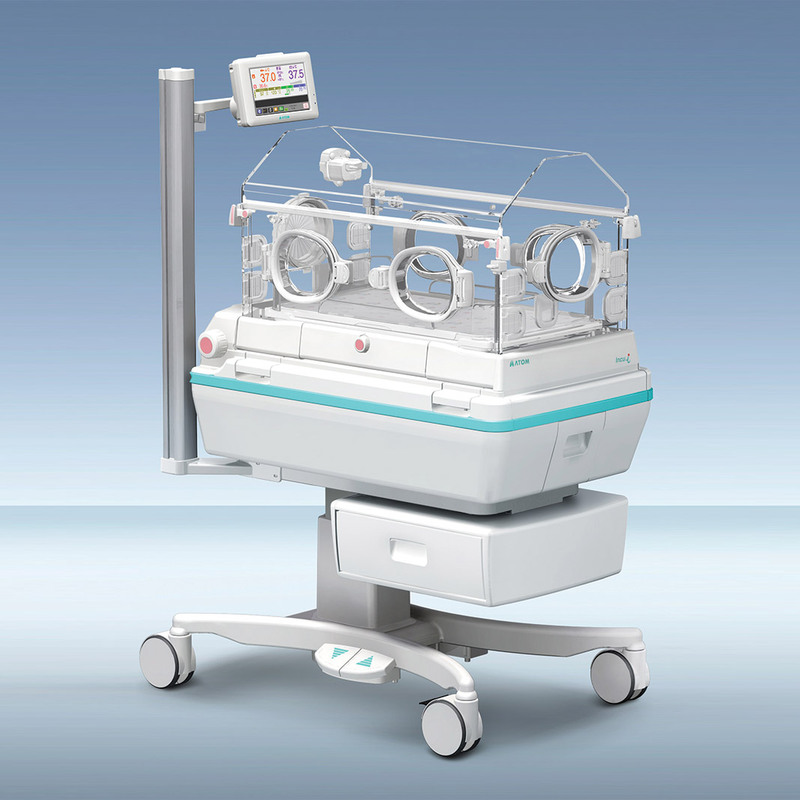 The Incu i can be configured at the time of installation with the integrated pulse oximetry option. The Incu i comes standard with one F-Rail. If additional storage space or the F-Rail handles are desired, an additional F-Rail should be ordered.